When looking at general cockroach control, much debate centers around how to go about finding the best cockroach exterminator Toronto can offer. The infestation levels of cockroaches Toronto has produced continues to grow, with no end in site. It is critical to hire the best cockroach exterminator, that brings forward extensive experience and proven methods. 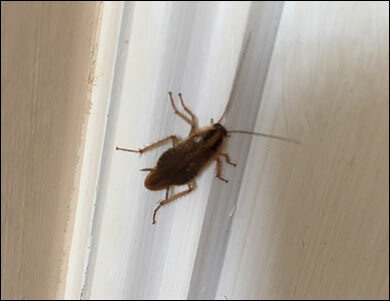 Cockroach control in Toronto continues to pose challenges throughout resident buildings and houses alike. Sometimes even hiring the most effective cockroach exterminator Toronto has available may not be enough unless the adjoining units are treated. This means immediately above, below, and on either side. The issue become a matter of cost to the landlords or property managers, willing to have multiple units treated at once. If this is not done, then the solution is merely a ‘band aid’ that will delay the inevitable return of the roach infestation months later. Many residents have discovered that their landlord or building manager might have an exterminator come into their unit just to appease them for a couple of months. Then the tenant tends to feel bad complaining later if/when the cockroaches return. What should I look for when selecting a cockroach exterminator? – Start with a few phone calls to any pest control companies who specialize in cockroach control. and have a conversation to discuss your situation. – Get a few quotes and be sure to ask specifically what is covered in terms of the size of the space, and type of treatment method used. – The best cockroach exterminators will use a combination of: baiting, spraying, and powder (Boric Acid) in cracks and crevices, and where water pipes enter and exit the unit. – Ask about any guarantee that is provided – most companies will offer something in the 3-6 month range, depending on the situation. There may be an option to pay a little extra to extend the guarantee in cases where you have tenants who may be prone to attracting roaches in the future. – Ask what type of follow up the exterminator company will do. For example, they might just be in contact by phone, or they may want to book a second date in advance to revisit the unit to check the bait levels, re-spray, etc. – Read some online reviews to get a general feel for the cockroach extermination company. Reviews shouldn’t be the only deciding factor, however, they may provide a good indication on what to expect when it comes to treatment effectiveness and customer service. – Always remember to find a balance when it comes to cost. A higher price quote doesn’t necessarily mean the cockroach treatment will be higher quality. Also be wary of any quotes that seem too low compared to the rest. Some companies may not be doing a comprehensive treatment in order to cut back on costs. Selecting the best cockroach exterminator Toronto has available should be simple if using the above steps as a guideline. Be sure to add Swift-X Pest Control to your list of contacts when considering an effective method for cockroach control and extermination. Swift-X provides a full 3 stage treatment method, a guarantee, and great customer service. Give us a call today for a quote: (647) 478-2128.